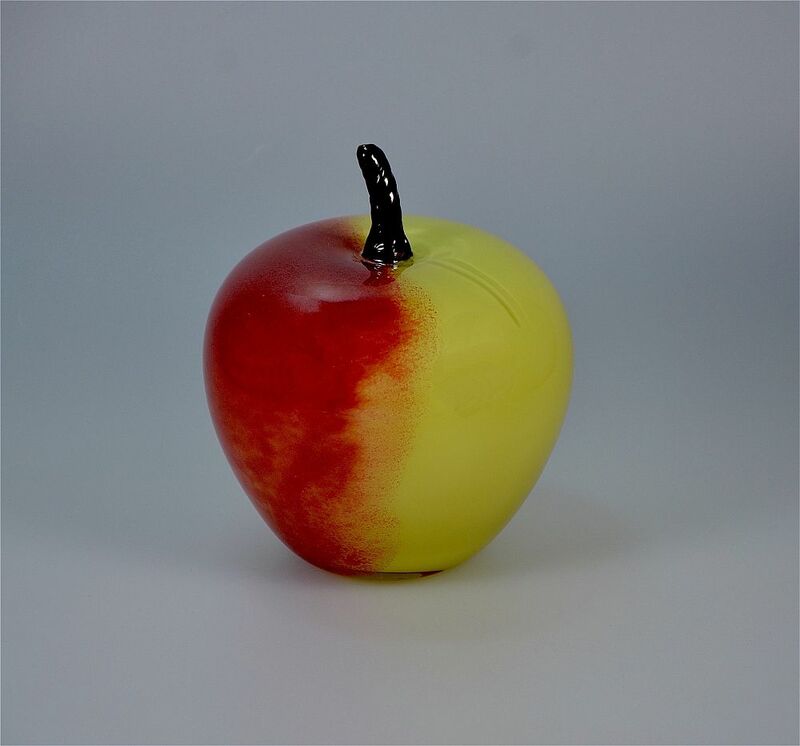 This attractive large hollow blown glass apple was made by Michael Hunter for Twists Glass in 2014. It is realistically decorated in pale yellow/green encased glass with a red blush and a tapering twisted black cane stem. It is signed "M Hunter Twists 14" with a Twists Glass Studio sticker.